Thom has presided over all things IT-related at Bunnyfoot for over 11 years. Keeping the data flowing, the eyes tracked and the consultants innovating, he is everywhere at once (like a digital deity). Moving on from working in publishing as a software support engineer and technical instruction manual author, Thom joined Bunnyfoot in 2007. 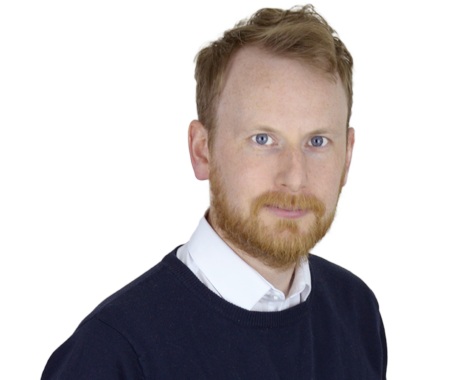 Since he joined us, Thom has been responsible for providing and supporting IT and AV solutions on hundreds of UCD projects testing all media channels; from console games and set-top boxes to in-store shopping experiences and mobile and tablet devices. Thom has travelled to a variety of countries to set up and provide support for our temporary testing facilities. He is also responsible for locating and kitting out new Bunnyfoot offices around the UK. Recently, he has worked with John Lewis, Argos and Marks and Spencer to help them spec, source and build their own user experience labs (including supplying hardware, installation, training, documentation and on-going support). As the manager of Bunnyfield (our industry-leading fieldwork participant recruitment partner), Thom helps maintain our goal of finding our clients the perfect participants for their research and ensuring they have access to the best-equipped and best-staffed studios. Thom is part of the senior management team at Bunnyfoot, providing leadership and guidance to staff and helping drive the company forwards. Outside of work, Thom likes taking photos, eating Thai food, flying quadcopters, fixing classic cars and drinking an obscene amount of tea. His favourite film is Being John Malkovich. Does your UX lab need a one way mirror?